For the rest of July DriveThruFiction and DriveThruRPG are running a Christmas in July sale. During this time, you can pick up our titles for 25% off. This is a chance to pick up some of our fiction, or any of the Ephemeris titles that you might need to complete your collection. Simply go to http://www.drivethrufiction.com/browse/pub/2805/Nomadic-Delirium-Press or http://www.drivethrurpg.com/browse/pub/2805/Nomadic-Delirium-Press. The sale prices are already programmed in. A few days ago, the Aurora theater shooter trial came to an end with the accused being found guilty on all counts. No doubt this creature was crazy...after all, no one in their right mind would think about doing what he did, but clearly the jury decided that he was not insane, which is a legal term and not a psychiatric term. Basically, even though he was nuts, he was well aware that what he was doing was wrong, and that's the reason why he will either get life without parole or death. The biggest problem I have with this whole scenario is that even though this creature was seeking treatment, he obviously never got all of the help that he really needed. And for that, the fault lies with insurance companies and the way that Americans view mental illness. That might sound crazy, but stay with me for a minute. Many insurance companies do not cover mental health issues the same way they do physical health issues. For many, they pay a smaller percentage, leaving he patient to pay high bills, and mental health treatment can be expensive. In addition, many insurance companies severely limit the number of caretakers in their network, also making it harder for people to seek treatment. Major hospitals might be in the network of an insurance company for physical health issues, but not mental health issues. This doesn't make sense to me. Mental illness is just as real as physical illness. In the majority of cases, there is a biological reason for the mental illness, but somehow it's different in the eyes of the insurance companies. This difference probably comes from the way that Americans view mental illness. A large number of Americans think that the mentally ill are weak. Basically saying that a person who suffers from depression is weak and just needs to grow a backbone, or some other stupid comment that you might expect to hear from people. This is like saying that a person who gets cancer is somehow physically weak. We don't shun and shame people with cancer, why should we do it with people suffering from mental illness? I've known a lot of wonderful and a lot of strong people that have suffered from depression, anxiety, and other mental illnesses, and it wasn't their fault, and yet America somehow blames them. This is wrong in so many ways, and this, in addition to the insurance BS, is a big reason why people who are suffering never seek treatment, and this can lead to the creation of monsters like the Aurora Theater shooter. Wake up, America! Mental illness is no different than physical illness, and it's about time that we start treating them the same. 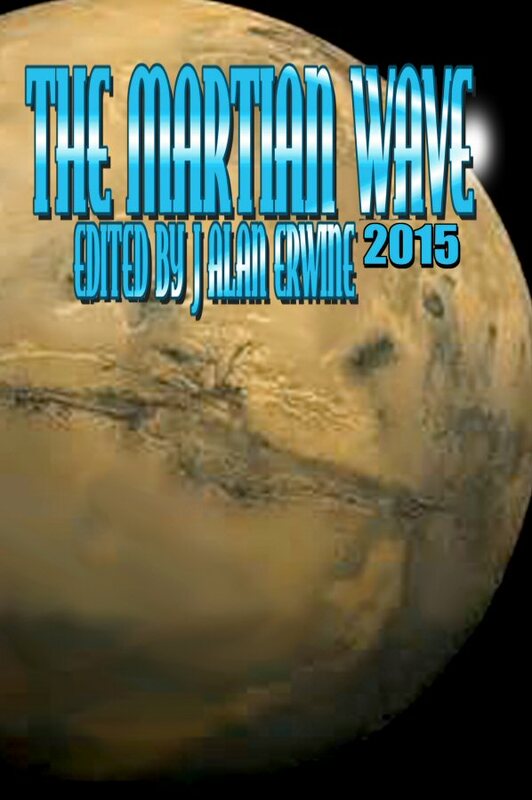 The official release date for The Martian Wave: 2015 is August 15th, but you can now pre-order your own copy. 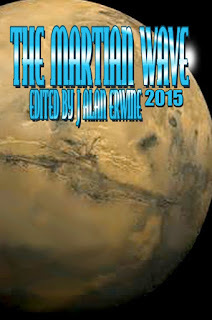 For the moment, the only place to order a print copy is directly through us at http://nomadicdeliriumpress.com/blog/product/the-martian-wave-2015/. Amazon and other retailers will have the book in the weeks to come. The book will list for $10, but if you order from us before the release date, your price will be $9. If you'd like to order an e-book version, you can order through Smashwords at https://www.smashwords.com/books/view/561565, or you can order the Kindle version at http://www.amazon.com/dp/B0120XUMR0. The featured e-book for today is Seedlings on the Solar Winds and other stories by J Alan Erwine. You can get this e-book for 50% off for the rest of the month by going to https://www.smashwords.com/books/view/16551. America as a fascist state, soldiers driven to terrorism, insane computers, insane humans, insane aliens, these are just some of the things waiting for readers in the pages of this new short story collection from prize winning science fiction author J Alan Erwine. Today’s featured e-book is A Robot, a Cyborg, and a Martian Walk into a Space Bar. You can get it for 50% off for the rest of the month by going to: https://www.smashwords.com/books/view/499752. A Robot, a Cyborg, and a Martian Walk into a Space Bar is a serious literary work of science fiction and fantasy stories that looks to delve into…who are we trying to kid? This book is a collection of comedic science fiction and fantasy stories written by some truly talented authors. The book includes stories from Francis W. Alexander, Lou J. Berger, Wayne Carey, James Dorr, Laura Givens, Alan Ira Gordon, John Grey, Carlos Hernandez, Gilda A. Herrera, Ahmed A. Khan, Sheryl Normandeau, Robert Lowell Russell, John Skylar, Glen R. Stripling, and Scott Virtes. You’ll be taken to alien bars, alien planets, and any funny place these authors could come up with. You’ll meet meddling appliances, aliens with strange habits, and aliens trying to live on or visit Earth. There are even time flies and a cloned genius. This collection has everything you need to tickle your funny bone. The Ephemeris Omnibus is the featured e-book for July 10th. You can get it for 25% off at Smashwords by going to https://www.smashwords.com/books/view/306292. The Ephemeris Omnibus 2013 features the Ephemeris core rulebook (with some rule changes, including mutli-classing), and all of the rule supplements that have been released as of the end of 2012. All of the species and class supplements have been blended into the core rulebook to create a massive (over 200,000 words) rulebook that will allow you to play the most extensive Ephemeris game you'd ever want to play. Smashwords is having an e-book sale for the entire month of July, and many of my titles are available for up to 50% off. There are a couple of my short story collections, one of my novels, several titles that I've edited, and all of the Ephemeris titles. What should science fiction publishers publish?